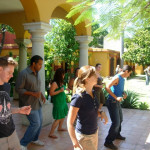 Spanish Courses in Oaxaca, Mexico. 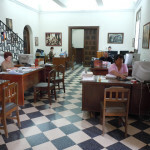 Instituto Cultural Oaxaca. 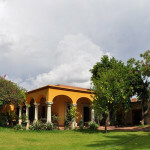 Oaxaca, at an altitude of 5,070 feet, is located in a valley between the Sierra Oaxaquena mountains to the West and the Sierra Madre del Sur mountains to the East. The climate is ideal, with spring-like days and cool nights. 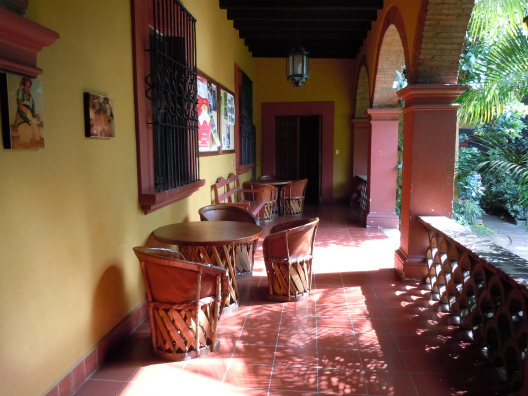 The climate provides the atmosphere for one of Oaxaca’s most popular activities, sitting in the Zocalo, or at one of the many open-air restaurants surrounding it. 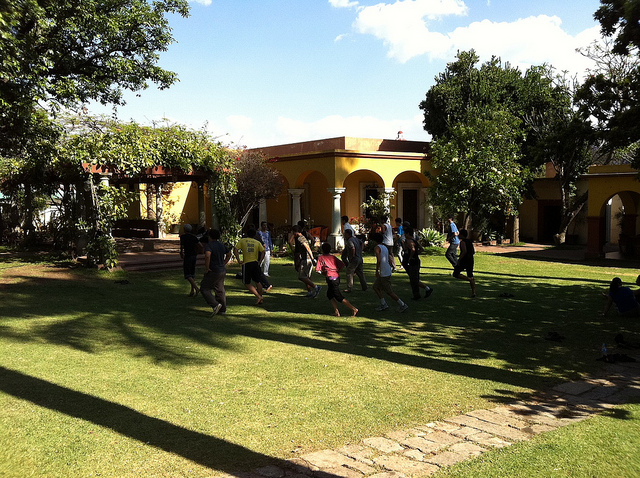 Oaxaca is a mixture of pre-conquest, colonial and modern periods. The forebears of these creative, intelligent Indians developed a great ancient civilization at nearby Monte Alban, Mitla and Yagul, centuries before the Birth of Christ. 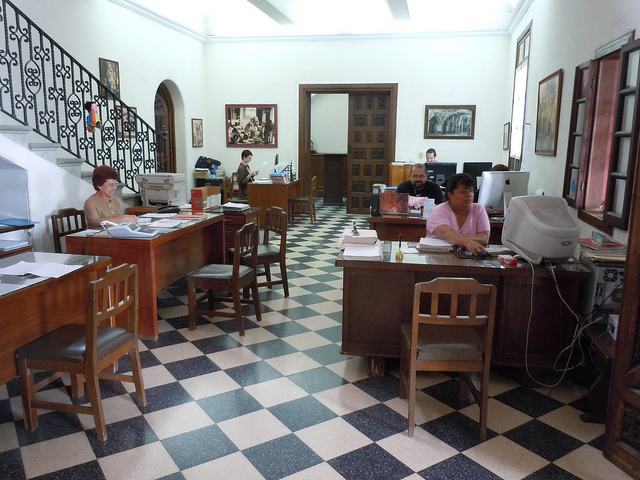 INSTITUTO CULTURAL OAXACA has been offering Spanish courses in Oaxaca for over thirty years. 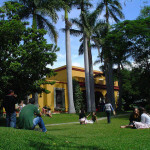 Upon entering the front gate of this Spanish language school, one is immediately struck by the beauty of the expansive front garden with its trees, flowers, lawn, and fountain. 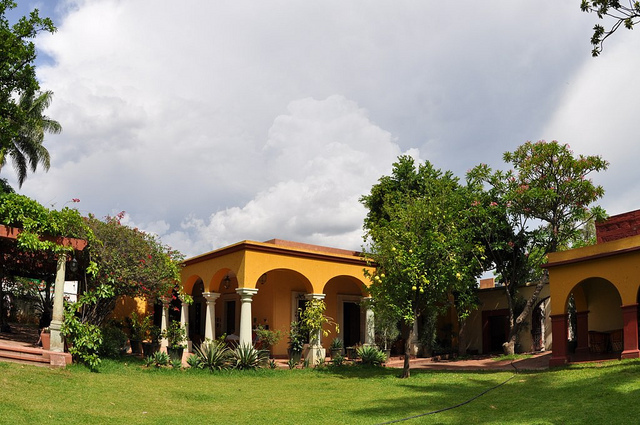 There are comfortable classrooms, a kitchen for the Oaxacan cooking lessons, a large reception area and a lovely flower garden in the back. The atmosphere is friendly and relaxed. 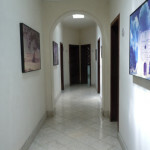 The school is located 10 minutes walking distance from the center of town. 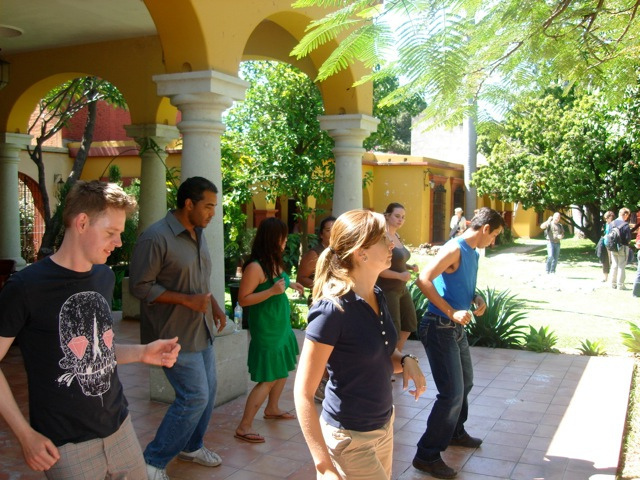 Intensive Spanish Course – Group 10 — 20 Spanish lessons per week, maximum of 10 students per class PLUS 8 hours of Workshops each week. 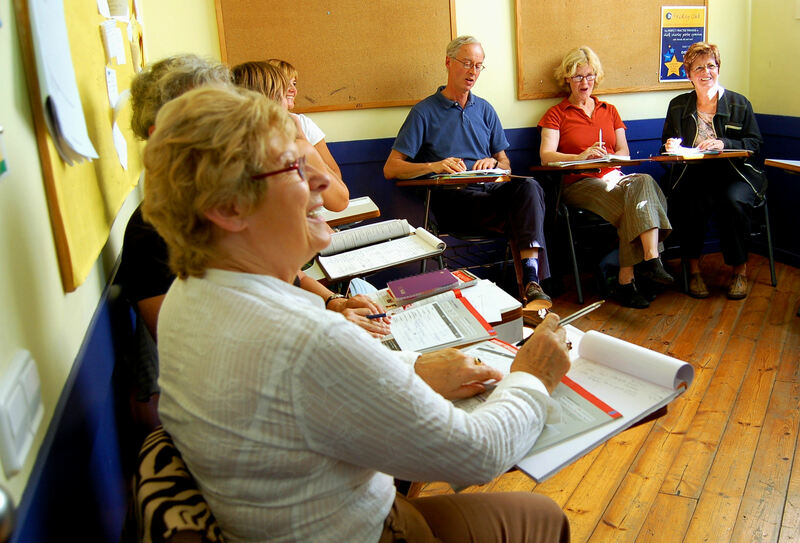 Classes begin each day with three hours of Spanish grammar and oral practice, plus one hour of Spanish conversation practice with an instructor. Prices include registration fee, Spanish lessons, books and study materials and “intercambio” (conversation exchanges that are organized daily). 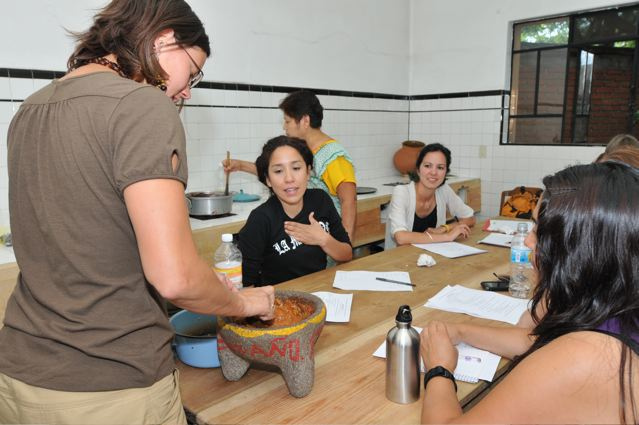 Monday through Thursday there are 2 hours of different workshops including cooking, weaving, pottery, salsa lessons, folkloric dance and Mexican History (also included in the price). 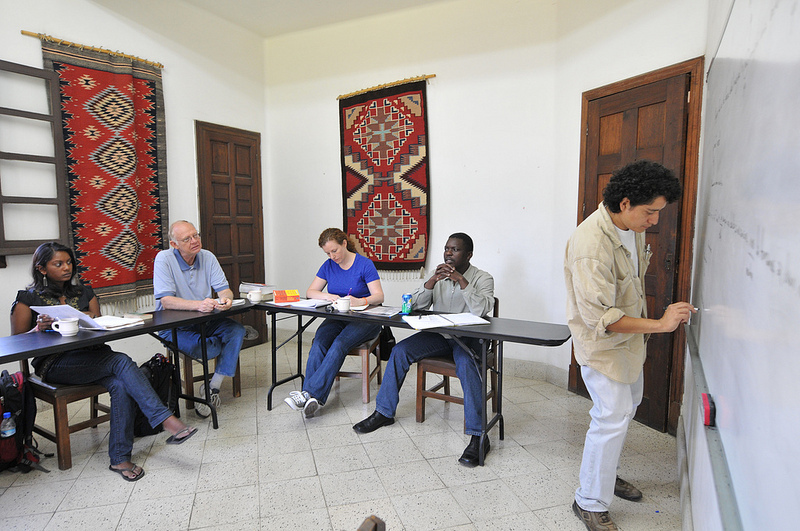 All workshops are taught in Spanish by local master artisans and instructors. 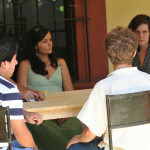 Conversation exchanges are also organized daily. 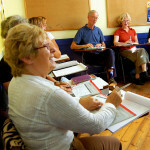 Standard Spanish Course – Group 10 — 20 Spanish lessons per week, maximum of 10 students per class. 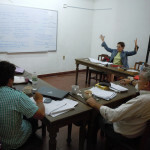 Classes begin each day with three hours of Spanish grammar and oral practice, plus one hour of Spanish conversation practice with an instructor. Prices include registration fee, Spanish lessons, books and study materials and “intercambio” (conversation exchanges that are organized daily). Starting dates 2016: for all Spanish Language levels including Beginners we recommend the following starting dates: 11 and 25 January / 8, 15 and 29 February / 14 and 28 March/ 11 and 25 April / 9 and 23 May / 6 and 20 June / 4 and 18 July / 1, 15 and 29 August / 12 and 26 September / 10 and 24 October / 7 and 21 November / 5 and 19 December. Holidays 2016: 1 January, 5 May. 2017 Starting dates: for all Spanish Language levels including Beginners we recommend the following starting dates: 2, 16 and 30 January / 13 and 27 February / 13 and 27 March/ 10 and 24 April / 8 and 22 May / 5 and 19 June / 3, 17 and 31 July / 14 and 28 August / 11 and 25 September / 9 and 23 October / 6 and 20 November / 4 and 18 December. Holidays 2017: 1 January, 5 May. 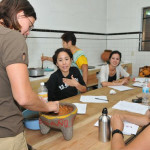 One on One Spanish Lessons— Spanish private lessons are available upon request. Prices: USD 19 per hour plus a registration/materials fee of USD 65.00 (additional registration fee does not apply to students enrolled in the group course who wish to add one-to-one lessons to their program). 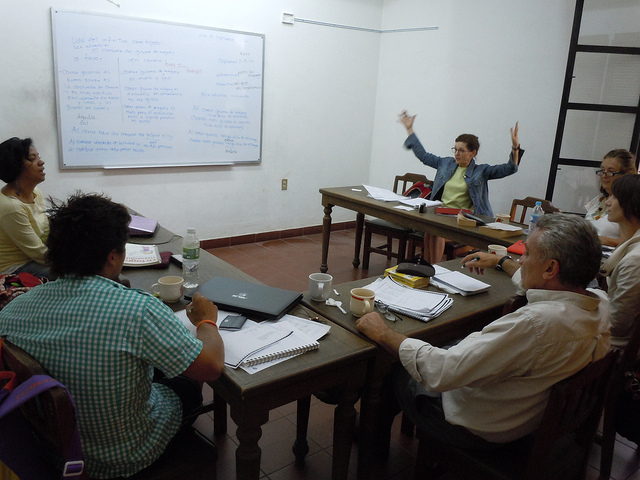 Important Note: The Institute holds their language level tests and orientation on the Saturday immediately preceding the start of the course and therefore requests that participants arrive in Oaxaca on the Friday preceding the start of their course. 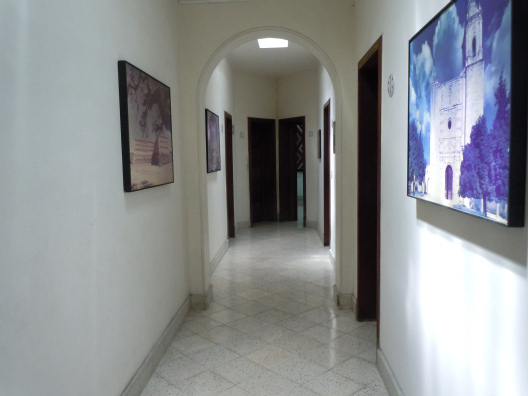 Accommodations are offered with carefully selected local host families, or in apartments. 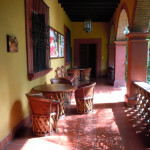 Posadas and hotels are also available (prices on request). *Depending on size and location. Information and reservations available upon request. See program description above for structured daily activities. 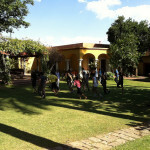 Additional activities are also available in the community or through the institute. 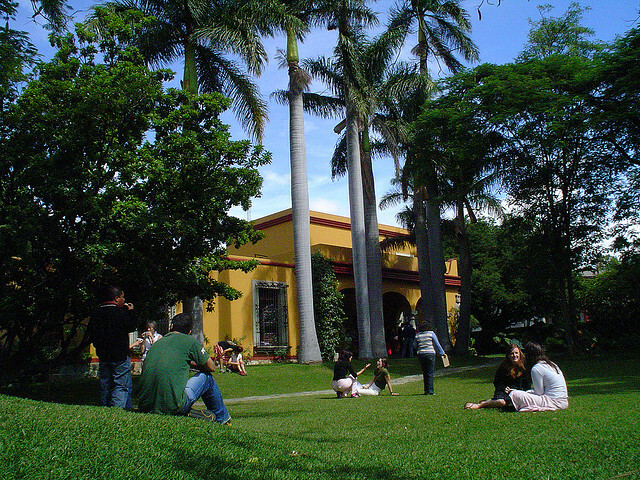 There are several excellent museums, including the Rufino Tamayo Museum of pre-Hispanic Art (considered the finest in all Mexico). Archaeological sites such as Monte Alban and Mitla are a short taxi or bus ride away. Students may visit the numerous Indian villages where Zapotec and Mixtec is still spoken, and where colorful markets display beautiful, inexpensive hand-crafted folk art. Airport Transfers: From Oaxaca Airport: USD 40 each way.